Processed from quality ingredients, our Rasam Powder will provide the original and traditional South Indian flavor to your dishes. 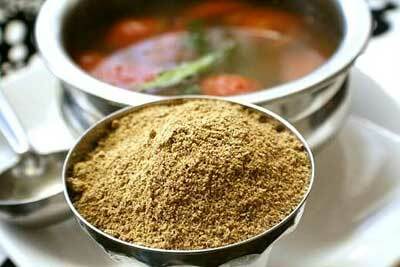 Our Rasam Powder is highly appreciated among the clients for its rich aroma and spicy taste. We offer Rasam Powder in proper tamperproof packaging.